Gender-Swapped Fantastic Beasts Newt Scamander Cosplay « Adafruit Industries – Makers, hackers, artists, designers and engineers! 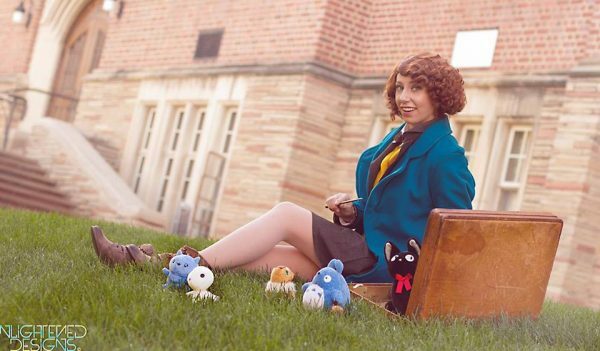 Fantastic Beasts and Where to Find Them won’t be in theaters until November 18, but AlyCat Cosplay has a head start in the costuming department. She came with a colorful gender-swapped take on the lead character in the film, Newt Scamander. She was able to take references from a few posters, trailers, and teasers that have already been released, and then she assembled the costume from mostly thrifted items. She found pieces that were close to what she needed and altered them. It’s a perfectly suitable way to put together a costume, and it’s something you can do over a weekend if you’re in a rush. She complemented the on-point outfit with a wig from Arda Wigs and a Newt Scamander wand from Noble Collection. You can see additional photos of the finished Newt costume at Facebook.